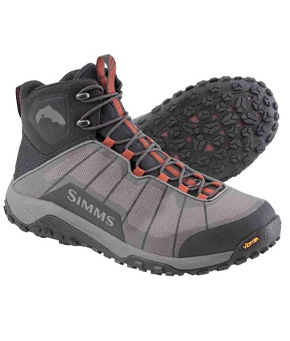 Wading Shoes and Sandals from Simms, Korkers, Orvis and Patagonia. Four of the best names in the business by far. We are proud to offer the best wading boots, shoes and sandals in the industry. Everything we offer here is made with quality, built to perform and last. Click a category below to view our selection. We have also included fitting information with each boot to help in your selection. If they don't fit, don't worry, we're happy to make a return or an exchange. Need help? We're more than happy to help with sizing!